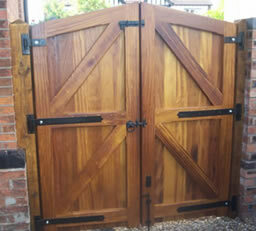 All of our gate furniture combines quality with durability, enhancing any gate for a lifetime. All of the products that are made from malleable iron have been hand forged in a British foundry using traditional methods which are over 100 years old. 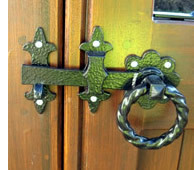 We provide a wide range of traditional black or galvanised ironmongery, from cabin hooks and drop bolts to ornate ring latches and bespoke gate locks. 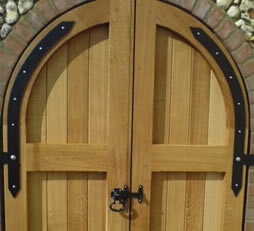 We will recommend the best for your gates and our blacksmith can also make bespoke pieces. 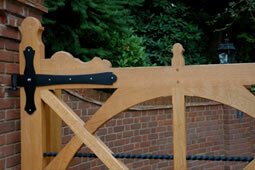 At Lancashire Gates we offer a range of posts and stiles in tanalised Spruce or hardwood to suit your needs. If part of your gateway project involves the construction of new Pillars, we would recommend that they are constructed in a particular way to ensure they will be strong enough to support the weight of our gates and ensure they will remain stable for many years. Please contact us to discuss your requirements. 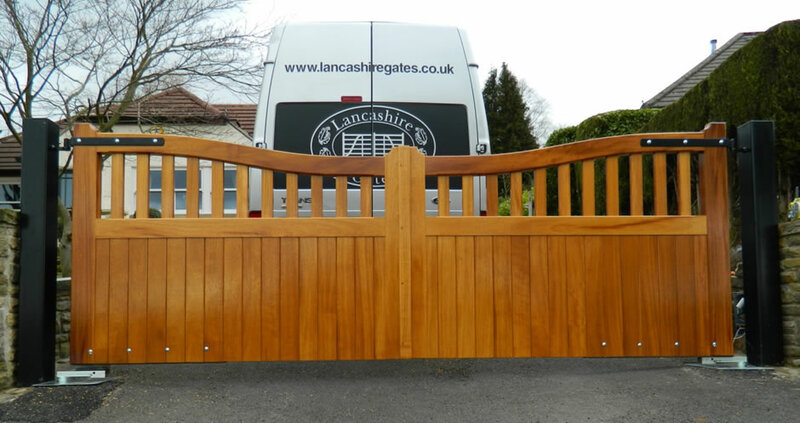 Your gates are completed with 2 coats of high quality clear, all-in-one, spirit-based wood preserver for the treatment and prevention of dry rot, fungi, mould and protection against woodworm. A perfect base for you to apply a colour stain of your choice. 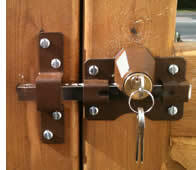 Your gates are like a new piece of furniture and should be treated as so. 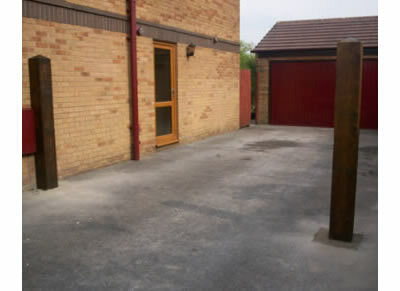 Regularly clean your gates with mild soapy water, dry them off and check for any damage. Damage should be repaired quickly to prevent water penetration or weakening of the gate structure. 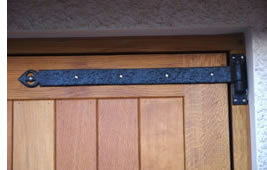 We recommend lightly sanding down and recoating your gates with your chosen finish annually. 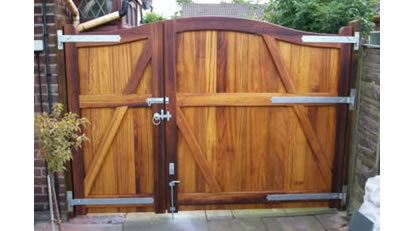 Regularly maintained, your gates will continue to impress for many years to come.